Coventry & District Samaritans is an independent charity, run entirely by unpaid volunteers. We provide a free 24-hour helpline for people who are upset, troubled or who are feeling suicidal. 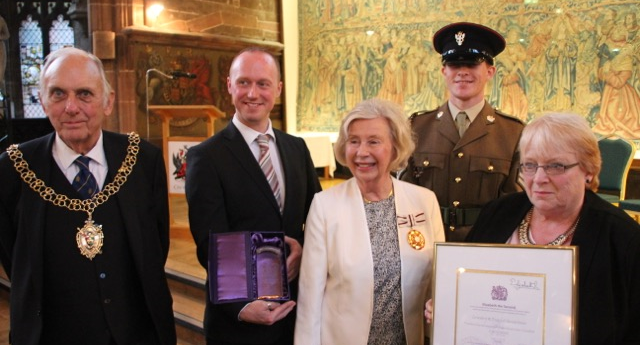 We are proud holders of the Queen's Award for Voluntary Service. This is the highest award that can be given to local volunteer groups in the UK and is equivalent to an MBE. Our building in Moor Street, Earlsdon, Coventry is currently closed for major repairs and unfortunately this means we are unable to see personal callers at the moment. But you can still contact us by phone, email or text 24 hours a day. For more information please click here. Coventry and District Samaritans is a registered charity (1173728). Coventry and District Samaritans is a recognised branch of Samaritans.